Processing the collection of Gloria Hollister Anable has been an enlightening experience not only because of her extraordinary life but also because of her obscurity. 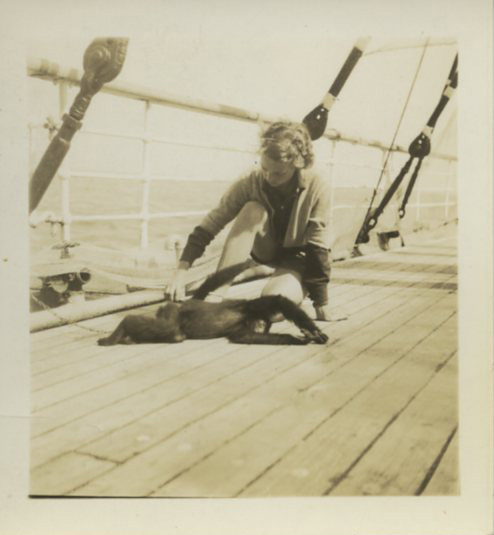 Relatively unknown outside of conservation circles, Hollister took part in several expeditions for the New York Zoological Society (NYZS), including Dr. William Beebe’s expeditions to Bermuda. During one such expedition to Nonsuch Island, Hollister descended in the Bathysphere, an underwater submersible, to a depth of 1,208 feet – at that time a record for a deep-sea dive completed by a woman. 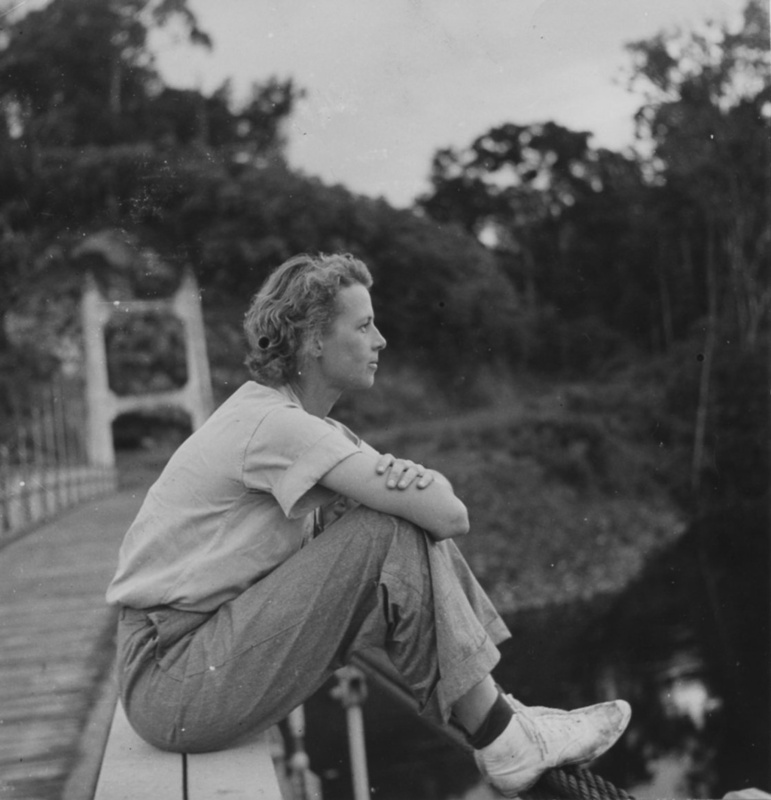 Hollister led her own expedition to British Guiana in 1936, worked in the first Red Cross blood bank during World War II, and in the 1950s was chairwoman of the Mianus River Gorge Conservation Committee. Through Hollister’s papers, it’s easy to see her dedication to conservation work, in particular in the records relating to her expeditions, be it her successful expeditions to British Guiana and Trinidad or her attempt to study fish in Iceland. 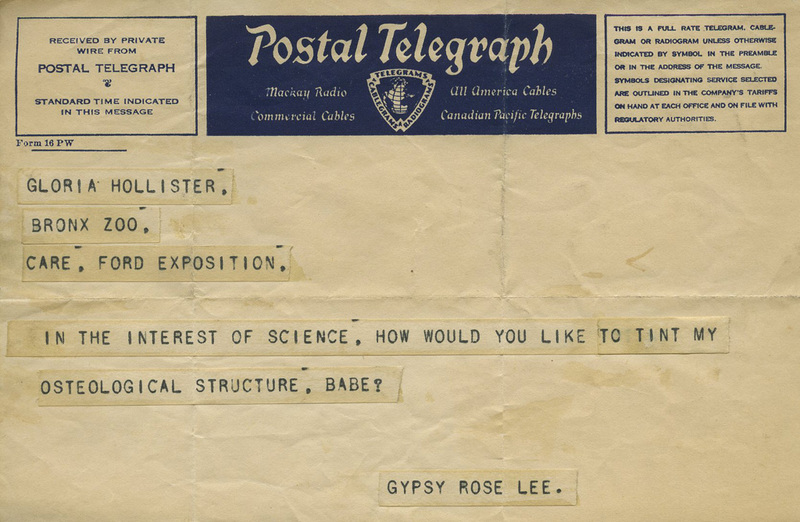 She was unable to pursue that expedition due to the start of World War II, but her research into and correspondence about it show her professional commitment to her field. The records demonstrate just how hard Hollister had to work to achieve what she accomplished in a field dominated by men, and how she was celebrated by other women. Most of Hollister’s collection focuses on her expedition to British Guiana in 1936. That Hollister led an expedition is extraordinary on its own, and the photographs taken by her team provide an insider’s perspective into how demanding such an undertaking can become. Numbering more than a thousand, the photographs and negatives proved to be both the most challenging and the most rewarding aspect of processing the collection. As the photographs were disorganized, we used the order of the original envelopes to determine the photographs’ organization (the link leads to one of the envelopes originally containing photographs from Hollister’s expedition to British Guiana, 1936. Scanned from WCS Archives Collection 1006). The photographs’ subjects beautifully illustrate the challenges faced by an expedition to a dense jungle, from downed planes to flooded boats. Also captured are the animal specimens Hollister’s team brought back for study and the people the team met, including members of the native tribes. Equally interesting are the “behind the scenes” photographs presenting not only the planning and work the team exerted but also the fun they had. 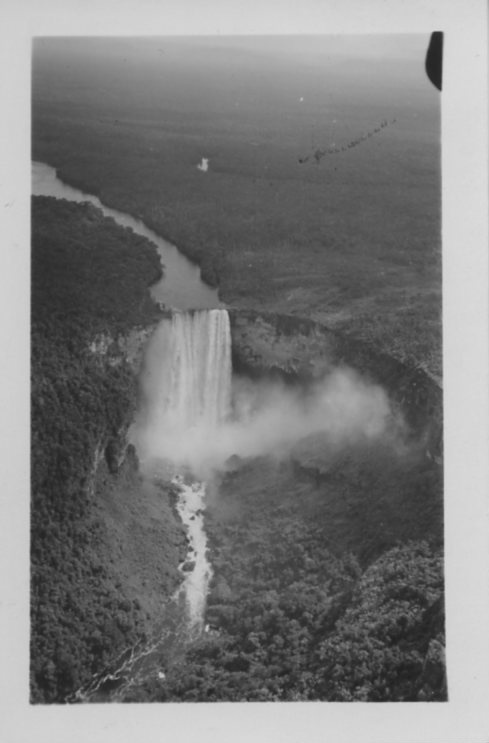 One of the expedition’s missions was to photograph Kaieteur Falls and its surrounding area. Hollister went so far as to hire a plane to better accomplish this task. She and her team photographer were able to photograph 43 different waterfalls from the air, capturing waterfalls previously only known to the natives. It has been a joy being able to explore a little-known piece of conservation history through Gloria Hollister’s personal papers, to have the chance to learn more about this extraordinary woman and the feats she accomplished. The photographs bring her scientific work to life, and her papers capture her willpower and dedication to conservation and animal life. My hope is that others will learn about her and appreciate what she was able to achieve. 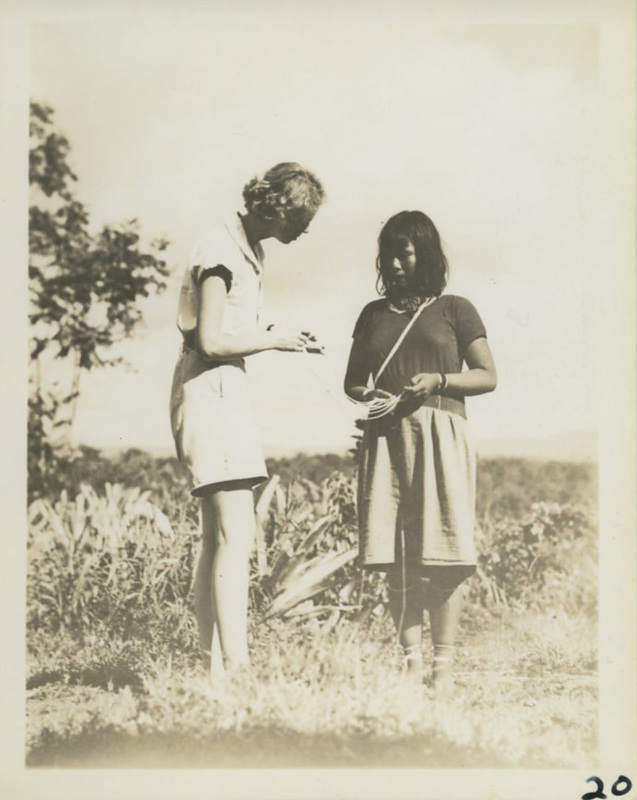 This post is by Kristin Moore, who worked during Summer 2014 with the WCS Archives as an intern processing the papers of Gloria Hollister Anable, a Research Associate in the New York Zoological Society’s Department of Tropical Research.